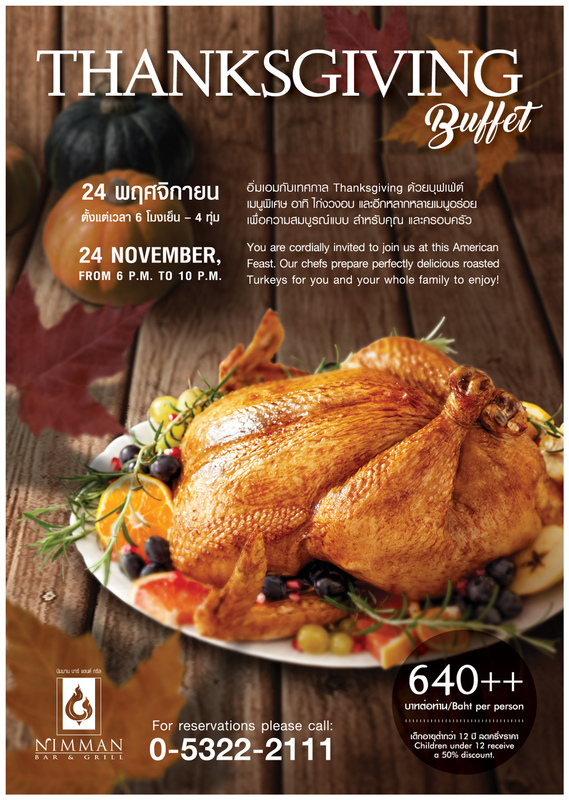 Doi Suthep ballroom, Kantary Hills, Chiang Mai, is pleased to announce that, on the evening of 24th November, we shall once again host our annual Thanksgiving Buffet. You are cordially invited to join us at this American Feast. Our chef prepares perfectly delicious roasted Turkeys for your whole family to enjoy. Partake in this unbelievable culinary experience for 640++ Baht per person. More details and reservations are available from Kantary Hills, Chiang Mai on: 053-222-111 or by visiting our website at: www.kantarycollection.com. วันที่ 21 พฤศจิกายน 2559 เวลา 17:12 น.